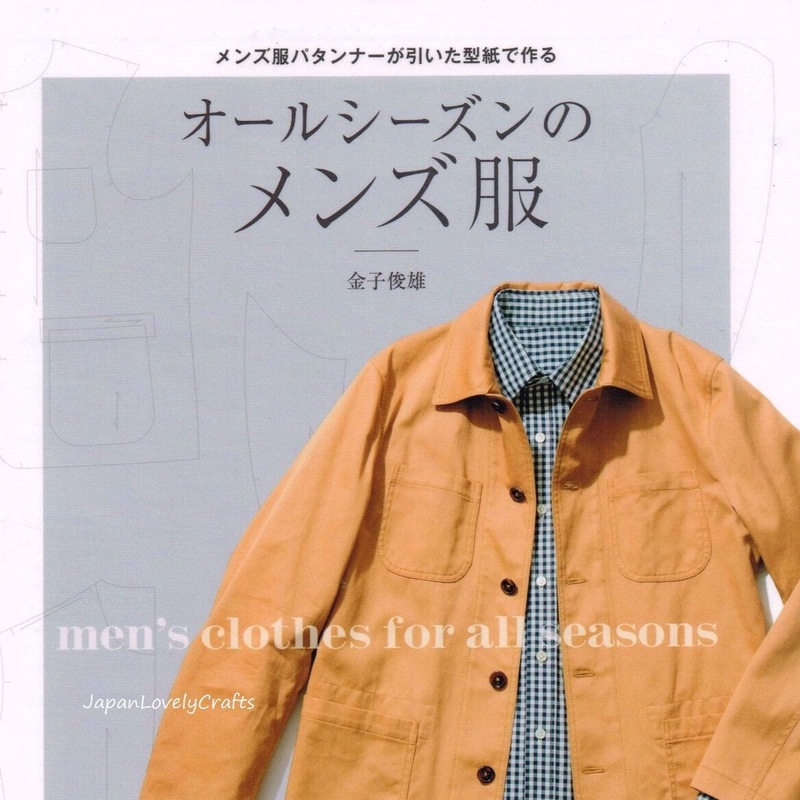 I am steaming ahead this year with my Japanese sewing book. Two tops a pair of chino shorts and my (in-depth) linen shorts. I promise this will be a shorter blog post. Less step-by-step, less waffle, more of a brief overview. This time, I’ve made a shirt. Shirt A. 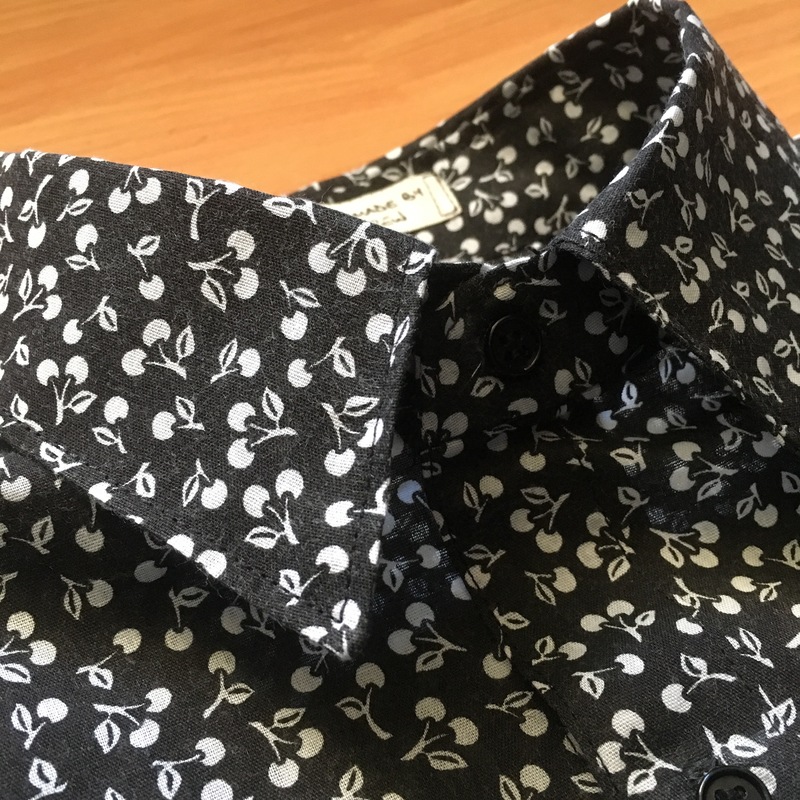 The ‘Regular Collar Shirt’ from ‘Men’s Clothes For All Seasons’. 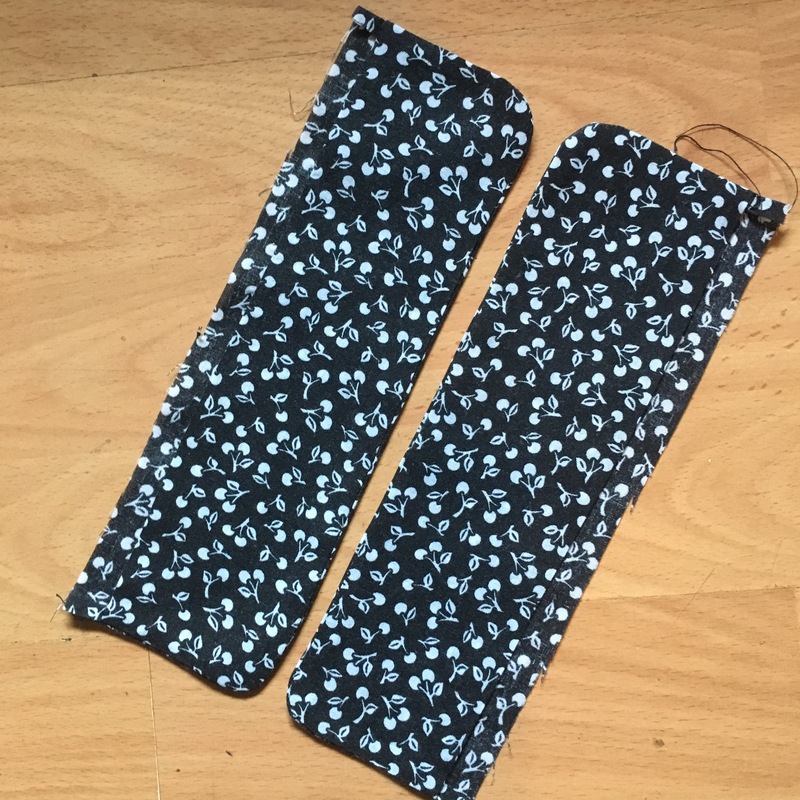 According to the measurements I need a medium neck, small chest (humph), a short length and long arms… I immediately knew that I wasn’t going to be grading between sizes from the shoulder to the under arm, so decided to just cut out a medium and see how it fitted. 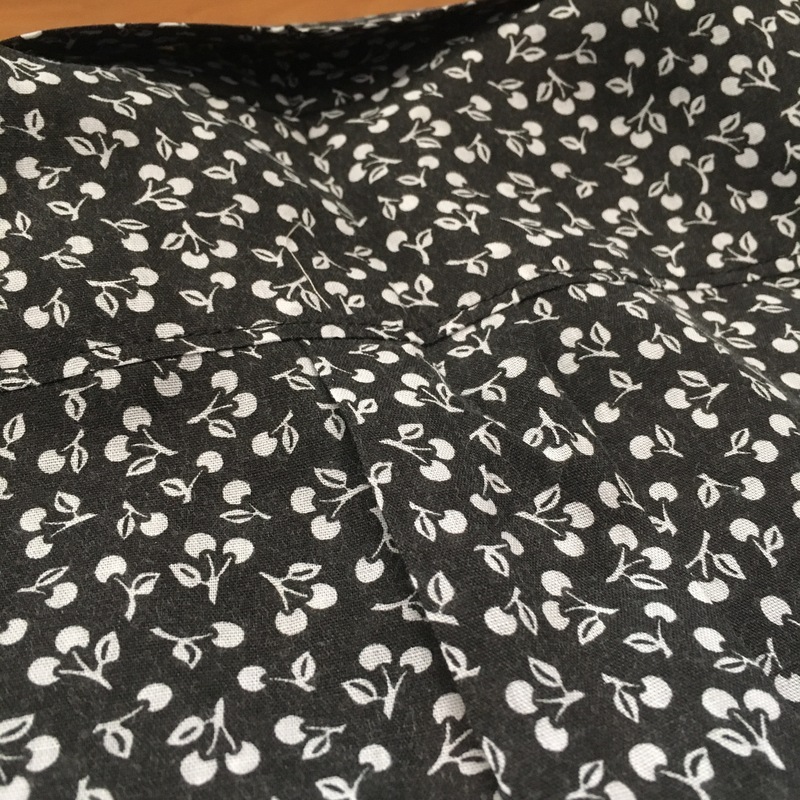 I used 1.5cm seam allowances instead of the recommended 1. The amount of faith I had in the project can be read from the amount of cash I invested in it… Bring in the £2.50 p/m E-Bay poly-cotton. 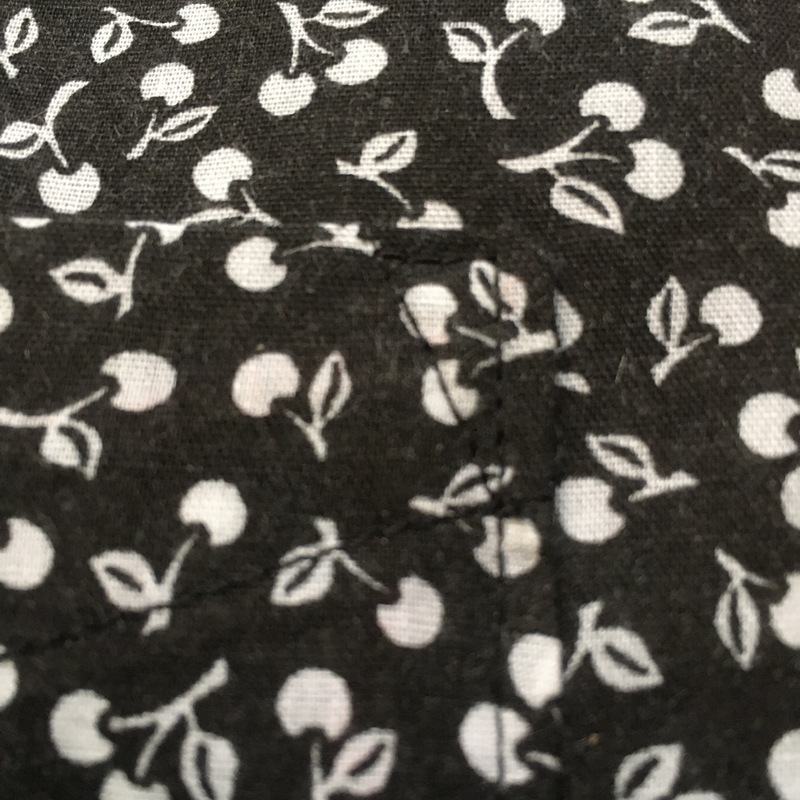 It’s black (another work shirt) and has nice little white cherries on it. I washed it at 30° and tumble dried it… The black looks like ‘really dark grey’ already, so I don’t need to feel guilty about not French-seaming. This is the home-sewing equivalent of a sweatshop-shirt. Shame on me. Scooped hem. (Disregarded on my usual pattern, for ease (I hate that curve!!!) and, I tuck-in, generally. Sew the pocket. I overlocked each side, folded down the flap and topstitched from the right side. 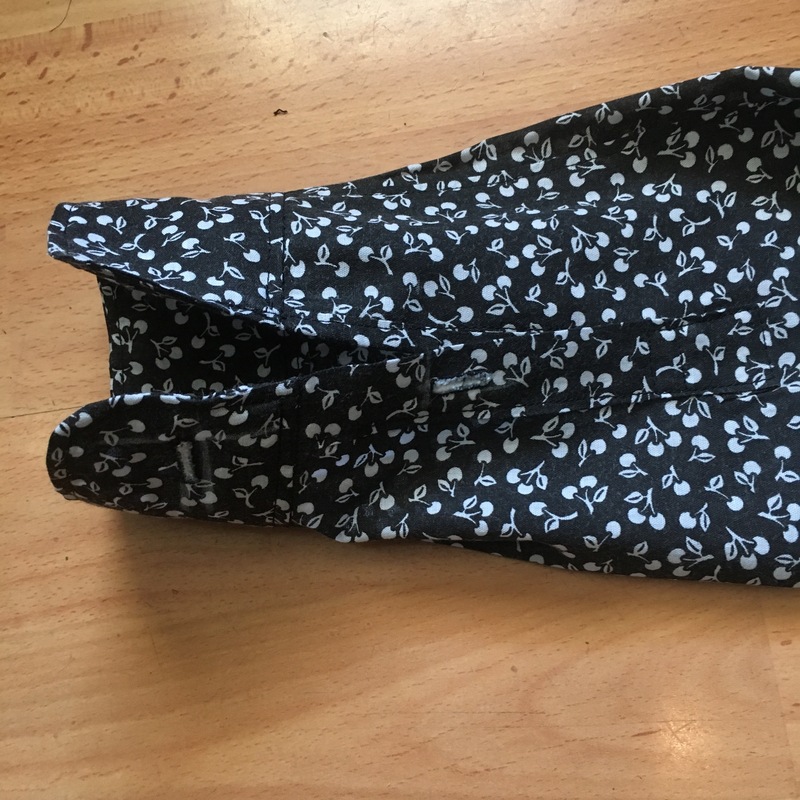 Press up the hem and sew the pocket on to the left front. Press the seam allowance and sew the button placket to the left front. Fold over to front and edgestitch both sides. Fold & press the right front and stitch down the fold. Press, pin and baste the back pleat. Sandwich the back between the yokes, pin and stitch. Press up. Make the collar & topstitch. I didn’t do the fiddly thing with the needle & thread. I clipped and pressed the corners and turned them over a point turner. The cuff plackets made no sense at all. I ended up doing some weird hybrid of something I knew and something I didn’t know. I couldn’t understand where the instructions wanted me to fold the under (or over-) plackets. I don’t think i’m going to experience any thing life changing by altering my usual cuff method, so the knowledge of this technique can be lost in the annuls as far as I’m concerned. Bah, humbug. For the sleeves, I edited the instructions and used my tried-and-tested Million Pin technique, which has never yet let me down. Sew the sides from cuff to hem. (This, I did. I also took the instructed path of overlocking the seams and topstitching). Pin & baste the pleats. Well, I wasn’t going to trust those, so I pinned them and waited until later. Press up the seam allowance of the under-cuff, sew and trim the cuffs, turn and press. These came out as my best curved hems. I loosened the pressure a little on the feed dogs and I think that helped me smooth around the corners a bit more. Sew right side to right side at the cuff. This is where I adjusted the pleats as I knew I’d have to. Stitch in the ditch from the right side catching the fold underneath. Topstitch round the cuff. Hem the bloody thing…! Not a literal translation. This was a gentler curve than I’m used to and actually went quite well. I pressed up 1cm then another with lots of steam & it kind-of worked out for me this time. Then I did all my button holes & buttons. So on the whole, a more general-guidance-taken than a literal-following of the instructions. It’s a nice shirt though. I didn’t feel the ‘zen’ on me as much as I did with the trousers, no construction-epiphany like before… but I’ll always have that back pleat. The next one could be a bit wider over the shoulders and a bit longer in the sleeve. The extra movement allowed by the back pleat is a keeper. And I’m pleased to say that these are the first curved-cuffs that I’ve kept curved since it all began here with me. Loosen feed dogs when going around curves. After wearing it to work it all feels really comfy except the sleeve length still needs to be a bit longer. If there’s a good chance you’re going to sew over your pins, use really fine ones. Don’t be afraid of a curved hem, just don’t make it too steep. The cuffs need to be a bit roomier and the sleeves could narrow a bit. 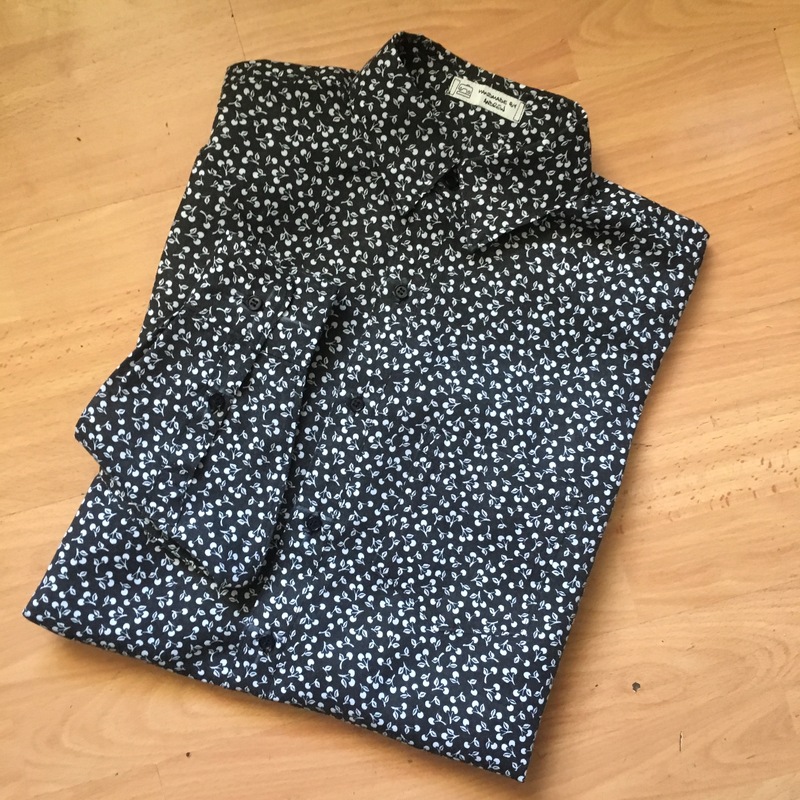 Your finished shirt looks great and the fabric is so cute. The DPC shirt making book is very useful. I bought it last year and still use it for finishing inspiration. 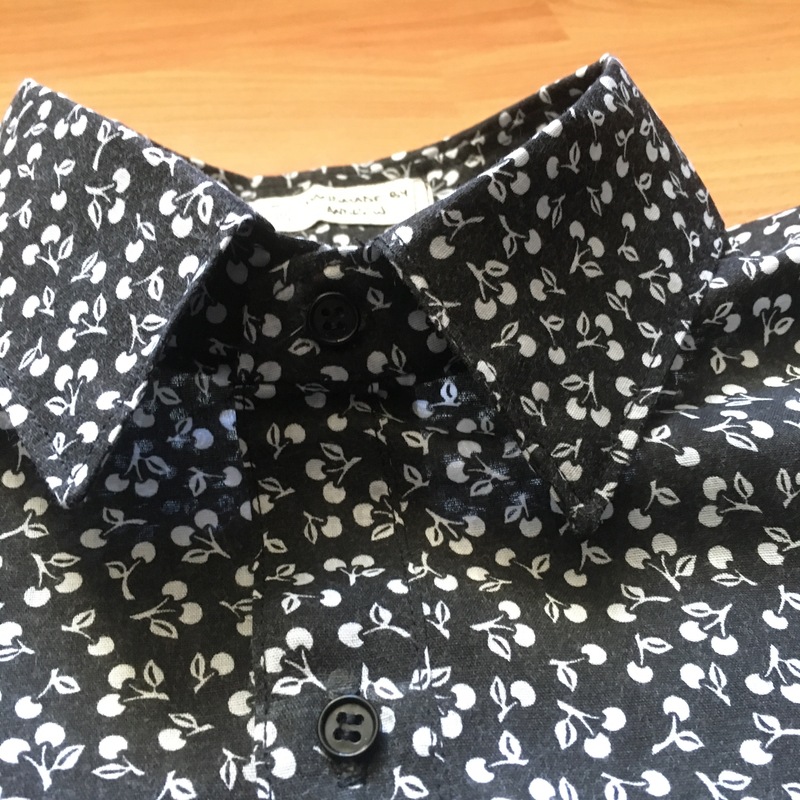 I’ve been making shirts for many years, and I never got my sleeve plackets right until I read David Page Coffins book on shirt making. Every time I make a shirt, I open his book to the placket instructions and follow along. Always a good result. So what are you making next?